Blockchain based monetized image ecosystem. The PIBBLE project is based on this popularity based "image". 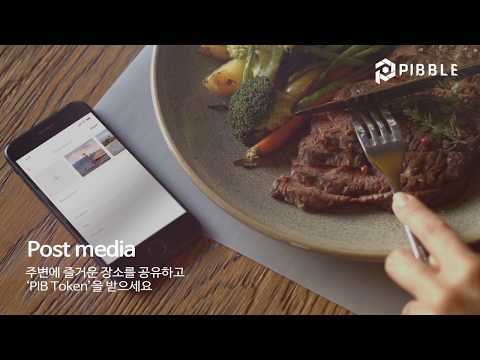 PIBBLE is a blockchain based cryptocurrency that collects image creators and consumers together and compensates for the activities they create, consume and enjoy. The "image” of the PIBBLE Project includes not only a picture or a stock image but also all images such as a cartoon, a character, an illustration, a graphic, an entertainers(singer, actor etc.) picture and video still. The biggest advantage about our token is that our service is already running and we have technologies, such as ContentsPro, that are functioning at the moment. Also, anyone can participate in the PIBBLE Ecosystem as image content creator or consumer. As the system is built on a global network, everyone can produce and use images without time or space limitations. Blockchain/Smart Contract technology can aid in generating fair revenue for image creators while, at the same time, minimizing copyright infringement problems. This is made possible thanks to the real time recording of the image distribution process on Blockchain, making it impossible for anybody to modify or delete any of these data. PIBBLE Ecosystem is a platform where anyone can become a creator/consumer. As the system is built on a global network, anyone can produce and use images without time or space limitations. The PIBBLE Ecosystem, which utilizes Blockchain, especially takes note of countless of images that are generated in the age of SNS and promotes a structure where anyone can generate profits as image creators through the use of cryptocurrency, promoting an image marketplace where anyone can participate in. The biggest problem of many projects that utilizes cryptocurrency and Blockchain technology is that it is difficult to attract people who are not yet informed or has no interest in Blockchain or cryptocurrency platform. PIBBLE, however, can utilize the already popular culture of creating images. PIBBLE can provide a marketplace where anyone can become creator/consumer which can motivate people who are not interested in cryptocurrency to participate. Team building Idea development, forming technical specification. Design Prototypes & Early White Papers. Completion of Technical White Paper, Side Papers Preparation for ICO. Development of a smart contract for PIBBLE token release. PIBBLE Token & Wallet development. Re-structuring Contents-Pro engine for Blockchain. Distributed Image Storage System development. Continue the development of the PIBBLE Platform. Public beta launch of PIBBLE Eco System. Upload and Initialize the Free License stock images PIBBLE. PIBBLE Brush Reward System release. Release Mobile Apps for iOS & Android.